Pop is headed back to Schitt’s Creek. The network has released a new teaser for season two of their comedy series. The show was renewed for a second season back in March. Schitt’s Creek stars Eugene Levy as a video store magnate who goes broke and moves to a backwoods town with his wife (Catherine O’Hara) and two kids. Season two of Schitt’s Creek begins on March 16th. What do you think? Did you watch season one of Schitt’s Creek? Will you watch season two? 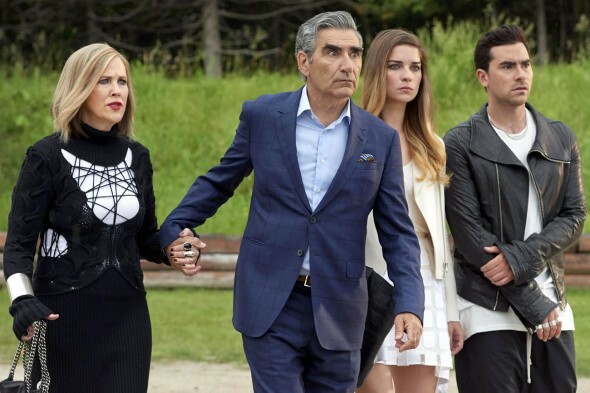 More about: Pop TV shows: canceled or renewed?, Schitt's Creek, Schitt's Creek: canceled or renewed?